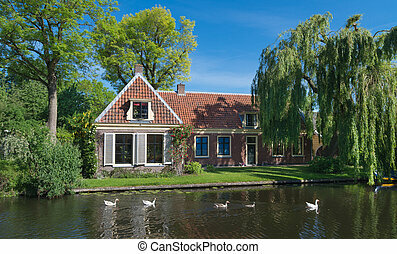 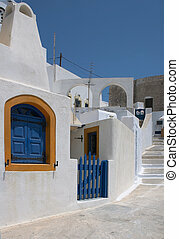 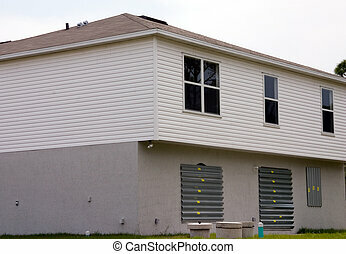 House with black shutters. 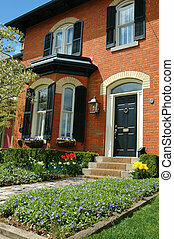 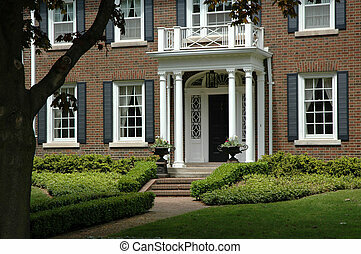 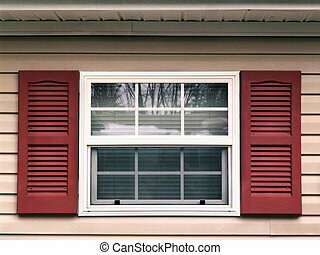 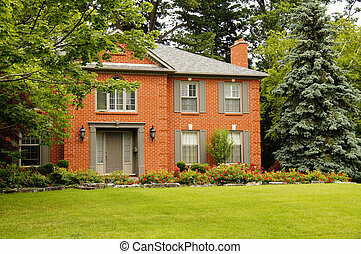 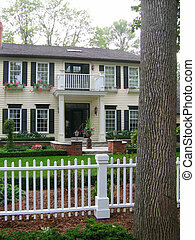 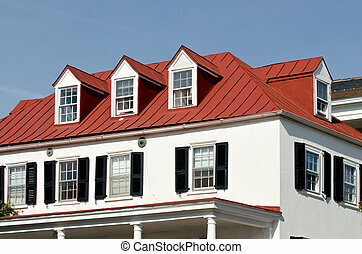 Red brick house with black shutters and pretty manicured lawn / garden. 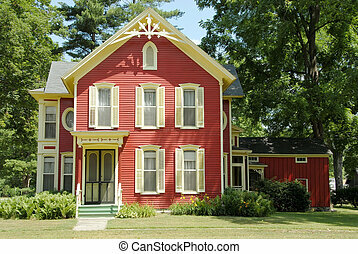 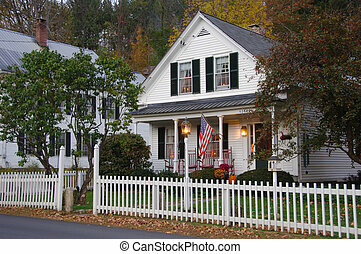 Red Farm House - An old farmhouse in the country with red siding and cream colored shutters and gingerbread trim sits in the shade of huge trees. 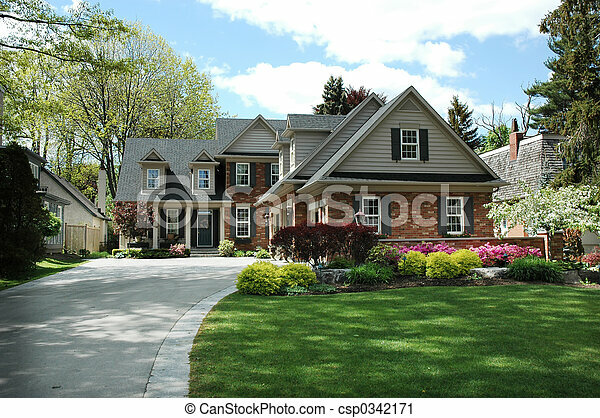 A large custom built luxury house in a residential neighborhood. 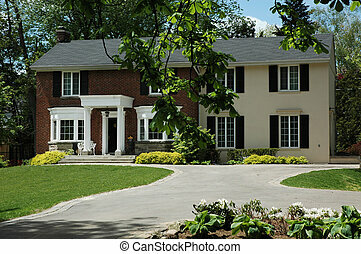 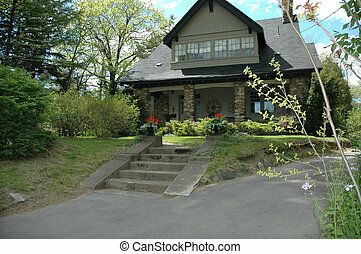 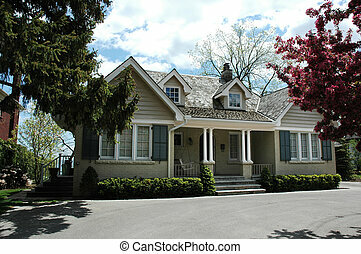 This high end home is a very nicely landscaped property. 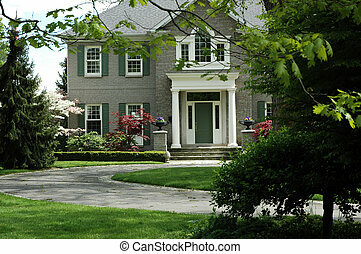 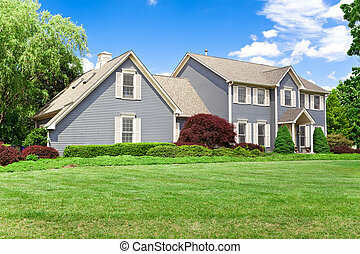 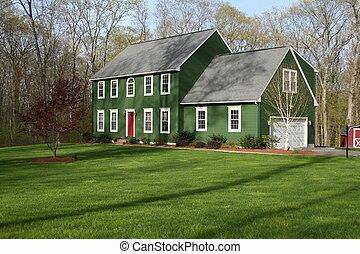 A large green colonial home on a large yard of grass. 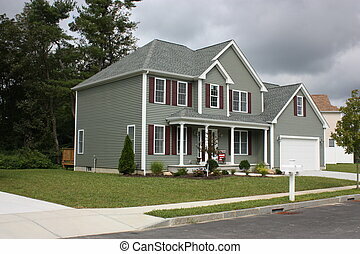 Single family house on large plot of land in suburban Maryland. 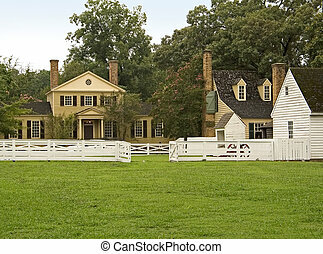 A group of old colonial buildings and green grass in historic Williamsburg Virginia. 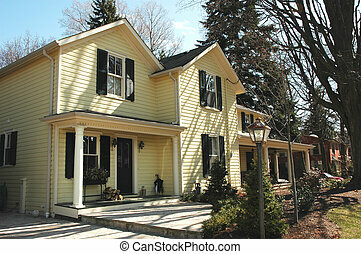 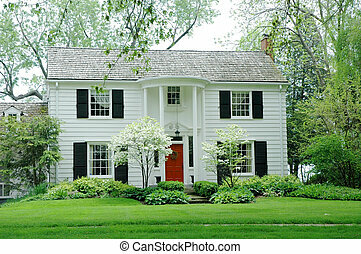 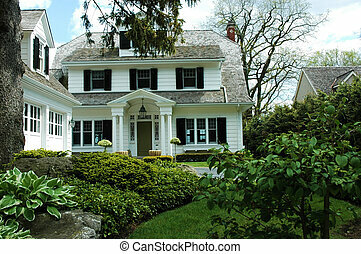 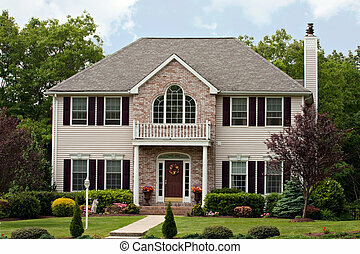 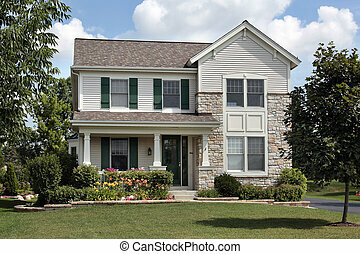 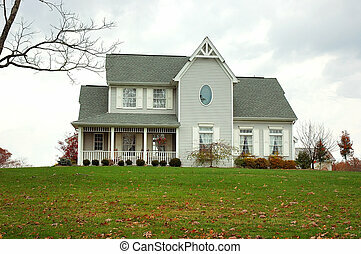 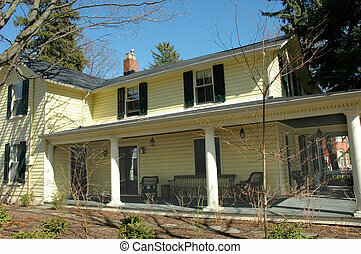 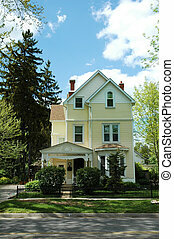 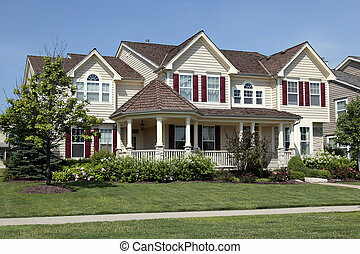 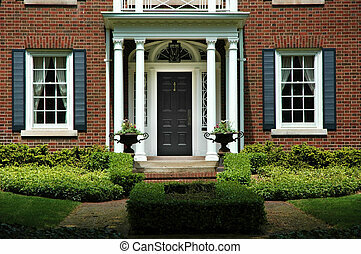 Luxury home with shutters and super green grass / front lawn. 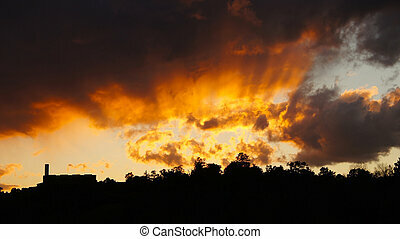 Bright stormy sunset wiht house and trees silouette.